In the Fall of 2016, my illustrations were used as the cover art for the first Spanish translation of George MacDonald's At the Back of the North Wind. Published by Ático de Los Libros, I was honored to have my artwork used along with Arthur Hughes' original interior illustrations. Books can be purchased on their website here. At the Back of the North Wind, is the most influential novel I have read and the story I continue to return to for guidance. Originally published in 1871, George MacDonald writes a story suitable for both children and adults. It tells the tale of a little boy who, taken through many adventures by the North Wind, learns how to be brave, kind, and how to trust in goodness even in the face of tragedy. Numerous readings of At the Back of the North Wind have compelled me to illustrate scenes from George MacDonald’s moving tale. Creating illustrations started as a personal undertaking, but eventually transformed into a complete book redesign concept. Despite MacDonald being considered a notable myth-maker and key influence to notable authors of classic literature, his works are a rare find. Beautiful versions of his stories are expensive and considered collectors’ items. A passion of mine is to design my own set of George MacDonald books that are lovely and more available to the reading public. All illustrations were hand drawn with ink, and select title headings done with calligraphy dip pens before being digitally scanned. 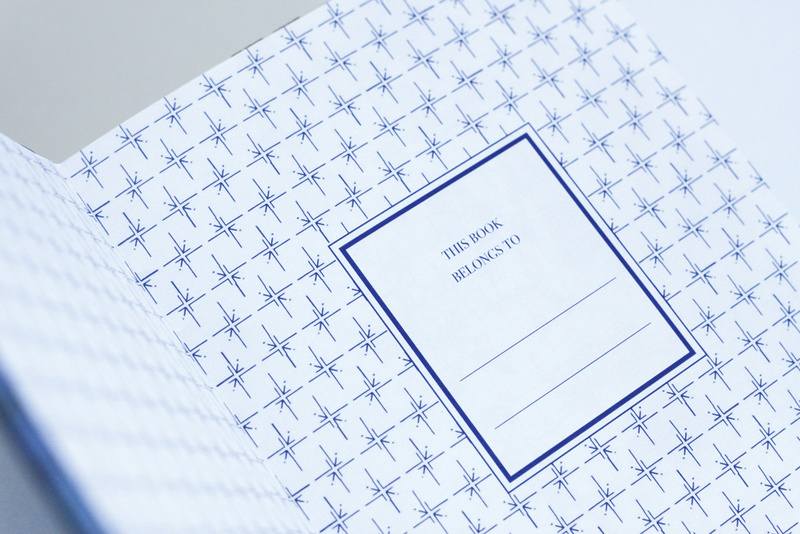 The cover layout was carefully crafted together using a variety of paper, and silver embossing was transferred to areas to add aesthetic depth and create a sense of unity. 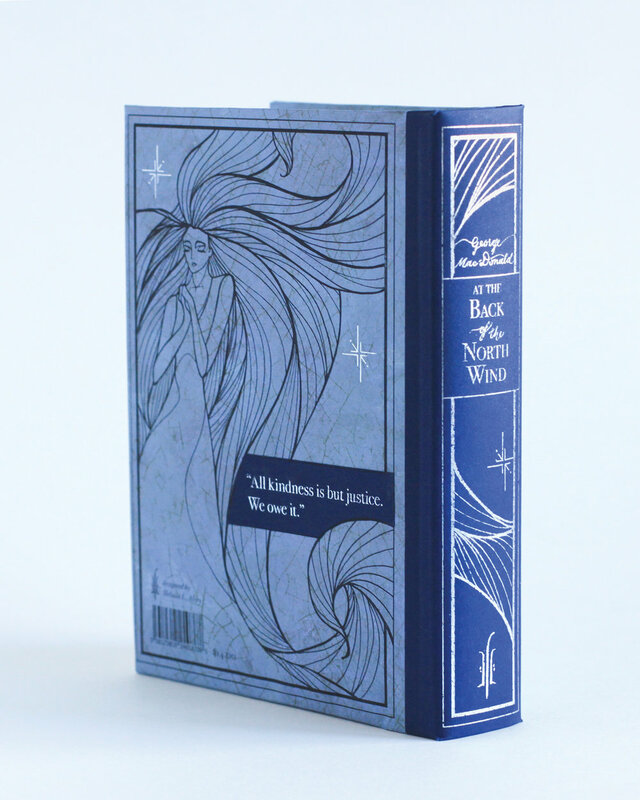 Intended to be an embossed hardcover on textured paper, the redesign of At the Back of the Wind is meant to be an imaginative experience to read and hold.